Aria WordPress theme is a creative portfolio website for all your creative pleasures. With so many wordpress theme released on the Internet, it is sometimes hard to find one or your liking, right? I decided to make something fresh, a theme that doesn’t really look like a traditional business / corporate wordpress blog, rather an online diary, that looks very vivid, full of energy, yet preserves a funky personal look. The theme comes with drop down menu installed, Twitter ready (all you need to do is download and activate the Twitter for WordPress plugin). The thumbnails are created automatically, if you have any images inserted into the post, otherwise you may choose to use the custom key “Thumbnail” (case sensitive, no quotes). Boldy Business Free WordPress Theme A Beautiful Portfolio Theme for WordPress. Designed & Developed by site5.com. Wordpress Post Thumbnail Enabled, Wordpress 3.0 Menu Management Support, JQuery PrettyPhoto Lightbox. Magaling Reloaded WordPress theme is fully WordPress 3.0 compliant which harness the features of the latest WordPress version. Aside from these features: Twitter status integration, Featured Post Gallery, Feedburner Email Subscription, Popular Posts, Ajax Tabbed Sidebar, Automatic Thumbnail Resizer, Adsense ready with advertising blocks easily customizable via an Option Page; Magaling Reloaded is packed with an additional features: Featured Photos, Featured Video, built in Page Navigation system. Upon viewing the Dark Night theme, you will see a place at the very top for features posts, along with a place on the side for Twitter updates. This particular theme has a darker color scheme which is great for the contrasting bit of red that pops out and invites guests. At the very bottom you will have multiple numbers to select from, indicating which page you wish to go to. The Dark Night theme is perfect in that it has a somber, albeit practical and layout for guests who wish to navigate around the page as efficiently as possible. Orsted Theme is a very stylish Green Theme perfect for Blogs. Theme is widget ready, advertisement ready and an easily customizable theme to use. Works in IE7, IE8, Firefox, Safari, Chrome, Opera and is compliant with the Latest version of WordPress 3.0 and below. A special feature of this theme is the logo changer. You can use the default WordPress setting (“blog name”) or you can use your own logo. Upload your logo in the root folder of LapOfLuxury theme and name it logo.png or you can use the logo.psd as a template. You will find the source in the root folder of LapOfLuxury theme. (Image limitations: No more than 910px/120px). A minimal, eclectic, and rich theme. Featuring customizeable post types, streamlined archives, and three widget areas. Charlene is a minimalist two-column WordPress theme that uses white space beautifully to provide a crisp, attractive appearance that makes your content sing. Simplo WordPress Theme 3.0 Ready Wordpress 3.0 Menu Management Support, JQuery PrettyPhoto Lightbox, JQuery Forms, Ajax based contact form and 6 color styles. This WP theme comes with a 2 customizable front page widgets which you can manage easily within the admin panel. Fluorinescent WordPress theme is packed with a better framework and a robust admin options panel to accommodate the General Settings, Page Tracker, Social Networking, Related Posts, Page Navigation and Custom Ads Settings. This theme is perfect for you if you’re in need of a gallery/portfolio website or if you just want a website with a unique grid layout that not many websites have taken full advantage of yet. “Shaken Grid” uses the jQuery Masonry plugin which “arranges elements vertically then horizontally according to a grid.” The result is a gap-less layout even if you have varying post heights. This new html5 portfolio theme. It uses custom post types for portfolio pages, takes advantage of the new menu navigation, and includes a ton of neat features. BlueBubble is a Free, Clean, Simple Premium Portfolio Wordpress Theme for Designers, Photographer or any other creative minds! It’s designed for easy showcasing your work and it comes with some very cool features. 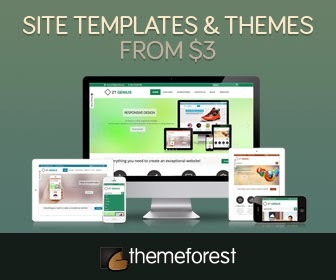 This theme was updated and requires Wordpress 2.9 or higher!